The Age is one of the most popular daily newspapers and is published in the Melbourne region in Australia. The Age is published in the format of a spreadsheet and is owned by the Fairfax Media Group. The Age enjoys an average readership of 741,000 copies per week and the readership goes further up with The Sunday Age. The present editor of The Age is Andrew Jaspon. The Age has an interesting past and has become a part of the Victorian life and people. The Age was first published on October 17, 1854 and has celebrated it 150th anniversary on October 17, 2004. A special online edition was released to mark this grand event and contained pictures and articles from 1854 to 2004. The Age was launched during the time when Victoria was experiencing the gold rush and its consequences. The Age was initially owned by brothers Henry and John Cooke, who were rich merchants and were owners of Francis Cooke & Co. The Age was launched with the idea of competing with ‘The Argus’ and the ‘Morning Herald’ and was expected to be a journal, which dealt with commerce, movements and other great values. After three months, The Age was closed because of its radical views and was taken over by Ebenezer Syme, an ex-Argus journalist. Thereafter, the paper was handled by David Syme and it was he who brought a fresh lease of life to its circulation and popularity. Then, The Age was managed by David’s sons who entered into collaboration with John Fairfax and Sons Ltd. And in 1973, Fairfax controlled more than 83% of the total shares of the company. The Sunday Age was launched during 1970’s and many new sections were also added during this period. Later on, in 1991, the Tourang consortium bought the John Fairfax Group and was renamed as John Fairfax Holdings. In 1995, The Age became the first Australian newspaper, which was published on the Internet. The online edition of The Age is highly popular and draws an average viewership of 2,652,043 per week. 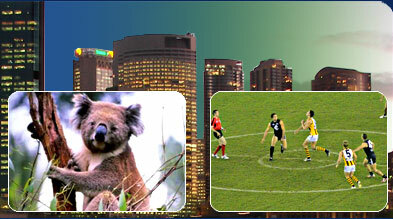 It is one of the most reliable sources of information about the life and society in Victoria in Australia. The online edition of The Age has the main headlines, which are updated from time-to-time in the breaking news section. The other sections include national, what’s on, world, business, opinion, technology, travel, entertainment, life and style, sport, real estate, dating, holiday, motoring and jobs. There is a separate section on horoscopes and daily weather reports of the region. The online edition of The Age is very informative and attractive and addresses on all possible topics. The online editor-in-chief of The Age is Mike van Niekerk and editor is Simon Johanson. The Age also publishes magazines and books on different topics like food, wine, technology, cars and others. The Fairfax Magazines group publishes about 200 editions in a year like Sunday Life, Domain Property Review, Ski and Footy and theage (melbourne) magazine among others. The Age has won several prestigious awards for its editorial merit. The Age has never compromised with its quality and continues to maintain its rich glory and prestige as the leading newspaper of Victoria, Australia.